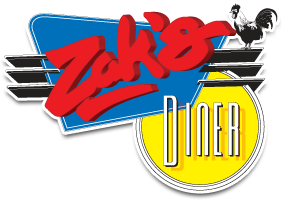 and all your favourite Zak’s Diner classics. Take a look! Have your burger with chicken or a vegetarian patty! Bread choices: white, brown, sourdough, rye or pumpernickel or have it in a wrap! your choice of chicken or veg picadillo , flour tortilla, refried beans, rice, cheese, salsa fresca, topped with salsa roja & more cheese!